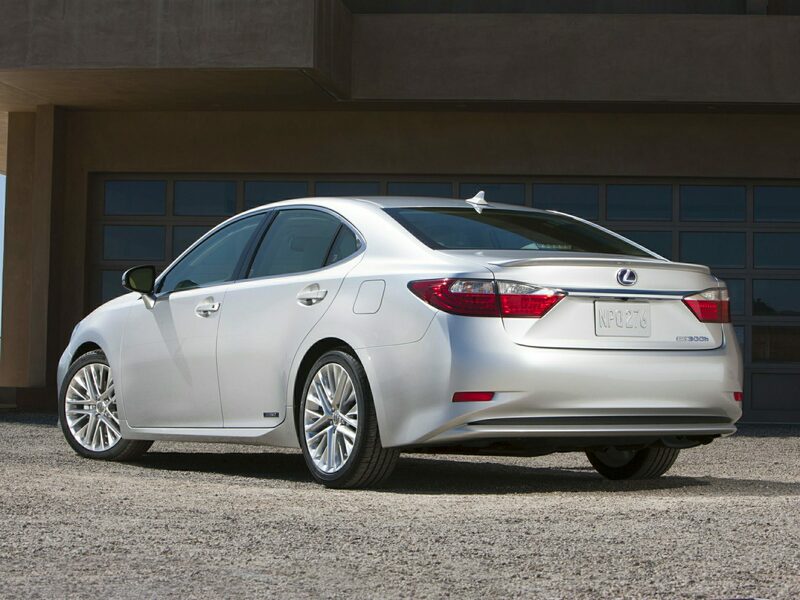 Lexus created the ES lineup as an entry level into the luxury car market. However, there is nothing entry-level about them. These vehicles consistently deliver top-notch luxury and high-customer satisfaction. I spent a week with the 2015 Lexus ES 300h to get a feel for it’s overall performance, comfort, and quality. Before I talk about the car, I must lead with a disclaimer: I’m not a fan of hybrids. I prefer cars to be fully electric or fully gas. With that said, I have to admit that by the end of the week, the ES Hybrid started to change my perception. The biggest plus was the gas mileage. I drove the car to Galveston from Houston and back (about 110 miles round trip) and the fuel indicator barely moved. I would like to credit it to my hypermiling skills, but I have to give some of the credit to Lexus’s hybrid technology. The advanced 2.5-liter, four-cylinder hybrid powertrain helps this sedan achieve an EPA combined rating of 40 mpg. In addition to being fuel efficient, the Lexus ES 300h offers luxury that surpasses all other vehicles in the premium hybrid segment. The long list of standard equipment includes: 17-inch alloy wheels, a sunroof, keyless ignition and entry, a rearview camera, Lexus Enform Remote (allows for smartphone control of certain vehicle functions, Bluetooth phone and audio, and many others. I would recommend adding the optional Navigation package which includes: 8-inch display screen, a navigation system, voice controls, and the Enform suite of smartphone-connected apps. If you’ve read any of my previous Lexus reviews, you will know that I have one constant quibble with the brand. The Remote Touch mouse like interface drives me crazy. It is very sensitive and making selections on the screen can be difficult at times. I don’t understand why Lexus’s engineers are so wedded to this clumsy interface. I hope they change their philosophy and switch to a touchscreen in future generations. Aside from that minor annoyance, Lexus did a great job of designing the interior. The cabin is roomy and sumptuous. Front and rear legroom is more than adequate and the rich leather seats are comfortable and provide solid support. The cabin is also very quiet especially at low speeds when the car operates in electric mode. If you are a driving enthusiast you will notice that the Lexus ES 300h doesn’t accelerate as quickly as a comparable gas-powered vehicle, but the trade-off in increased gas mileage makes it worth it. Drivers will appreciate the handling and smooth suspension. Overall, the 2015 Lexus ES 300h is an excellent choice for eco-conscious consumers who desire a well-built, luxury sedan at a competitive price.